Could you please tell me where can I find some material on western genre plot building. Let me make it much clearer. I have a character Marshal, A saloon girl, Rancher, Preacher, Blacksmith and bartender along with 4 outlaw gang and 1 leader og the outlaw gang. What I am trying to find is a story of events that can occur within this small town. Which direction can I take to find some events to get me to page 75. This technique can also be used equally well for plot events. The idea is to switch back and forth between analytical mode and creative mode by asking specific questions about your emerging story, then answering them in as many creative ways as you can. Then, you repeat the process by asking questions about each of the answers and then answering THOSE questions. In short order, you end up with hundreds of plot points. How does the Marshall first find out about the gang’s activities? 2. He is told about the situation, right after he accepts the job and pins on the badge. 3. He saw a newspaper account of the town’s gang problem and came there on his own to get the job to clean up the gang. 4. The gang sends a telegram to the marshall’s home to let him know they are in town shaking it down. Okay, that’s the first step – analytical (the first question), followed by the second creative step (all the potential answers). Then you repeat, asking as many questions as you can think of about each answer. I’ll just do one as an example. Answer 3: He saw a newspaper account of the town’s gang problem and came there on his own to get the job to clean up the gang. 1. Where was he when he saw the newspaper? 2. Has he done this kind of thing before? 3. Why does he want to interfere? 4. What makes him think he is qualified to do anything about the problem? 5. Does he notify the town’s mayor or governing body before he shows up? Then, you repeat the second “creative” step and provide answers. Question 2. Has he done this kind of thing before? 1. Yes, he is independently wealthy and does this all the time as a hobby. 2. Yes, one time. His family was killed when he was a child and in his first adventure, he read a newspaper account of a child who was made an orphan due to a gang’s violence in a town in the East. He brought the gang to justice and found a foster home for the child. It was so fulfilling, his ordinary job has been miserable since, and this new article has made him realize he needs to step forward to give his live meaning. 1. A scene showing the Marshall as a young boy when his family was killed (by who and how and where can all be figured out using the Creative Two-Step). 2. A scene showing the Marshall see the first article and decide to get involved. 3. Several scene, perhaps in a montage or in a scrapbook of how that first adventure went. 4. A scene of him encountering this new newspaper article and how it affects him. 6. A scene of him arriving at the town. Okay, again, I could go on and on and so could you. 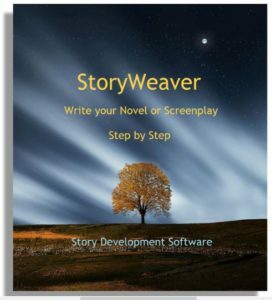 Just use the ol’ two-step method and then stand back, see all the ideas you’ve generated and create a plot sequence from all the notions like I just did above. 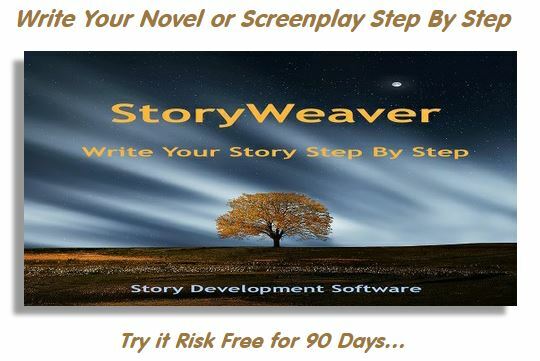 The details in each scene can be created using the very same method, once you have the main plot line sequence. This entry was posted in Creative Writing, Featured Articles, Plot, Writing Tip of the Day. Bookmark the permalink.